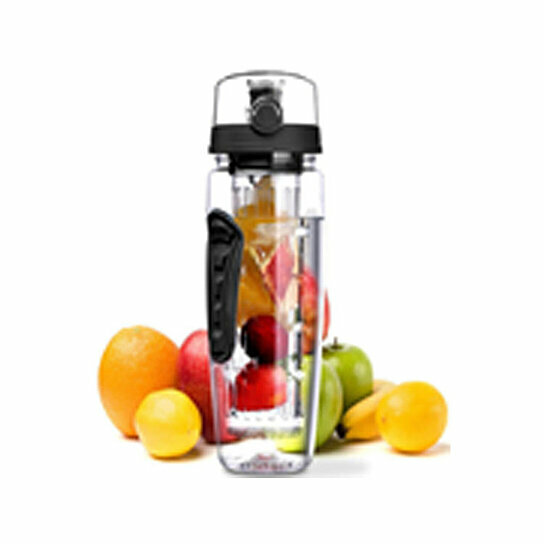 This fruit infuser water bottle is a great gift for your friends and yourself, it is also great ideal for home or accessory for Traveling. Finger hole provided for easy carring. Carbonated water friendly. Get fit with this brilliant fruit water bottles. Color: Clear and Black. Material: PP.